Skiing is a wonderful holiday activity. It’s a great way to explore new places and experience the mountain at its best. To make the most out of your trip, ensure you physically prepare beforehand. To maximise our training time we asked our coaches at Diamonds Training Centre for the best exercises for ski fitness. Let’s see what they think! Often called the “the king of the exercises”, squats really are one of the best ways to start a ski training schedule. The ideal way to start is by just using your own body weight. It’s safer and also effective. Standing up straight, feet wider than the shoulders, we need to flex the knees and try to go as low as we can, flexing the upper body forward. It’s essential to try to keep the knees aligned, avoiding them dropping inwards or outwards. Additionally, to protect the knee joints, try to not let the knees go over the tips of you feet. Moving slowly at first will mean you will be able to learn this otherwise complex exercise relatively easily! Lunges are perfect for training not just the quads but also the glutes, so make an excellent ski exercise. Much of our strength on skis actually derives from the muscles at the back of our legs, not just the thighs. The easiest way to learn is starting from a standing position and taking one step forward. A slightly longer step than you would normally do. 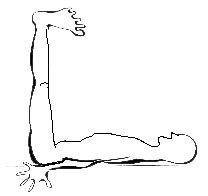 From there, kneel down vertically (as in the picture shown to the right), keep the hips straight and between both feet. Eventually the back knee will touch the floor. From there extend upwards, keeping the feet in the same position on the ground. During this exercise make sure you aren’t leaning forward or backwards with the upper body, just keep it straight and balanced. Always start slowly to learn the movement pattern and try to avoid banging the knee on the floor..
A strong core is essential to maintain balance and coordination while skiing. All the muscles around the “belt” are involved, so any core exercise will help. If it’s your first time doing these exercises, crunches are the easiest to explain. Lie down on the floor, belly up, with the feet on the floor and the knees bent. Hold your head with both hands and try to lift the upper back up from the floor. It’s just a small movement, but enough to activate the abs. Then hold the elevated position for a couple of seconds, keeping the belly button tucked in, then slowly return to the starting position. It’s important to keep the belly flat and just slightly tucked in, to avoid pushing the muscles outwards and impacting the spine. Working out at altitude does require a greater effort from the heart and lungs. The best way to train towards skiing, and minimising injuries, is probably cycling. Rather than going for long (and sometimes boring) flat rides, try to mix it up with uphill sections of differing lengths. Alternatively you could try sprints of between 30 seconds and 2 minutes. After this, you can recover by cycling slowly for a minute or so, then go again. With 3 or 4 sets of sprints you can get into a good routine and make the most out of your time on the bike. With time you’ll be able to increase the amount of time you’re able to sprint and with that, your fitness level! You thought you could get away without it, didn’t you? Well you could, but stretching will just make life easier, since it helps blood flow to and from the muscle. If you tend to suffer from backache, one of the best exercises is the one pictured here. Lie on the floor, with your bum and hips against a wall and the feet up against it. Put your heels close together and keep your back fully in contact with the floor. This is a simple way to obtain good results in 10-15 minutes. In this article we tried to give a brief indication on where to start a training schedue towards skiing. We chose skiing exercises that are low impact on the joints and for which you don’t need to own any specialist equipment. The best way to progress is to try to slowly increase the repetitions or sets in each exercise, so that by the end of a few weeks you’re hopefully able to do quite a few more than when you started.. Being fit makes a huge difference in this sport, which is why we run training programmes for our instructors that include pre-season fitness sessions. Because we need to be able to ski (a lot!) during the full length of the winter, our strength and conditioning coaches are at work all season long! Some of our instructors at Matterhorn Diamonds are also coaches involved in preparing ski instructors for the winter season and their exams. 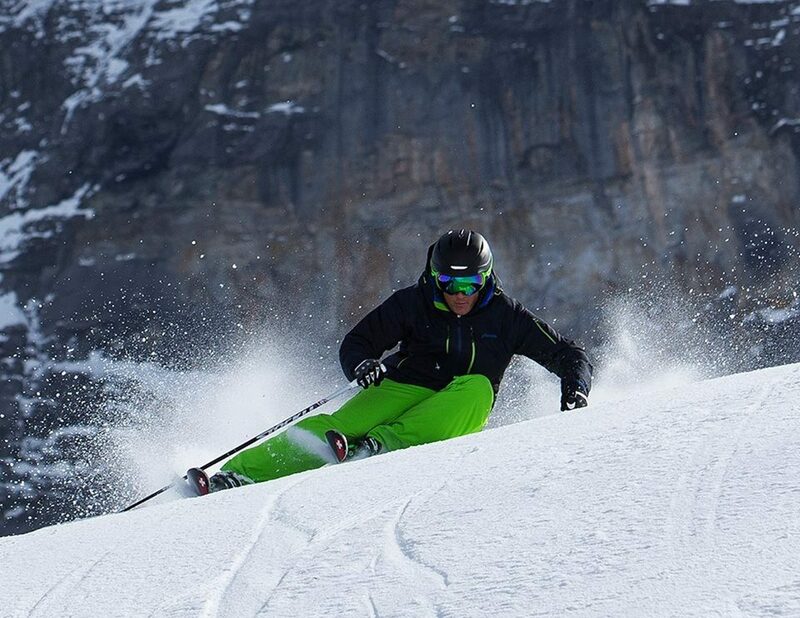 Diamonds Training Centre runs courses for people interested in becoming ski instructors (Autumn Course and Winter Course) as well as courses for professional skiers that want to progress in their career.